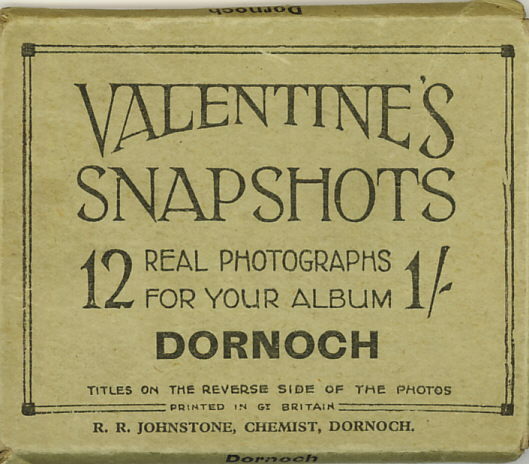 Grey cardboard cover for a set of 12 Valentines photos of Dornoch, retailed by RR Johnstone, Chemist, Dornoch. The 12 photos are all present. They have handwritten titles printed on the back.